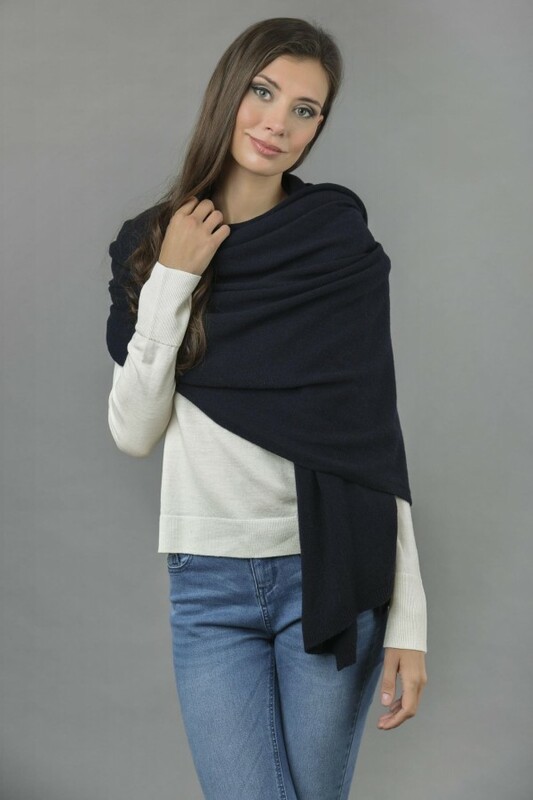 Knitted with top quality pure cashmere wool, our wrap in navy blue is a must-have in your wardrobe. 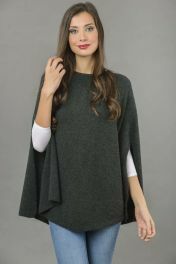 Wear it with a casual or an elegant outfit will cuddle you with its softness and warmness. Bring it along with you when travelling or just wear it while at your desk in the office and you will never be without it again. 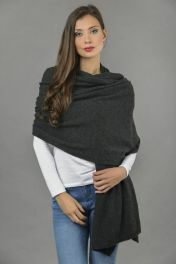 Experience a perfect escape from the ordinary as you add some real enchantment to your fashion with a unique and high quality knitted pure Cashmere wrap. Flawlessly knitted to perfection for ladies that love looking gorgeous. 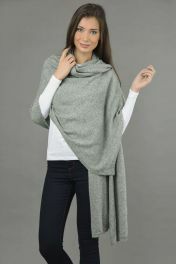 This top notch pure Cashmere wrap in navy blue is made in Italy. 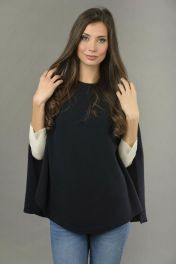 It keeps your body warm and yet soft and gentle on you while it decorates you with an aesthetic appeal. 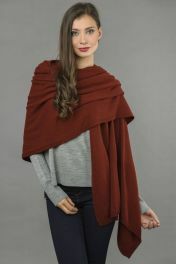 Small production of this pure cashmere wrap indicates that the stock is limited. 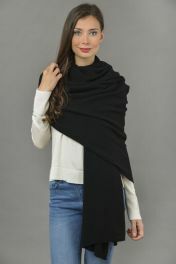 You can wear this in form a wrap or scarf or even bring it with you while travelling.